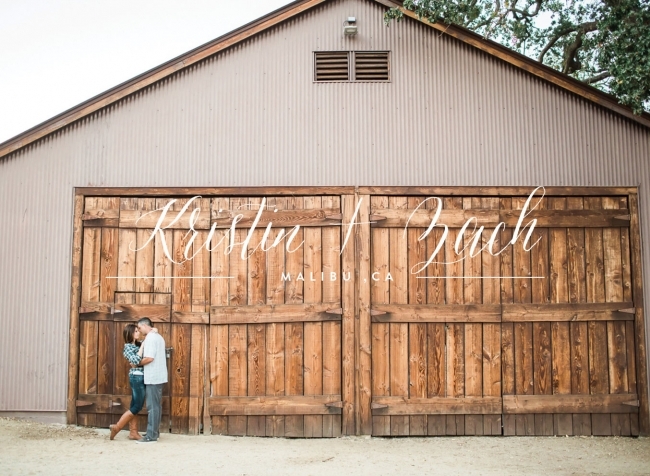 I’m so excited for a busy week of blogging and I’m so happy to start off with Kristin and Zach’s Malibu engagement session. These two killed it (in a good way obviously) during their session! We went to three different locations (with three different outfits) during their session, so we were moving pretty fast. At each location they just went from one cute moment to another and I just couldn’t stop snapping away. They were pros! Throughout their session we were just chatting and I found out that Zach works in the entertainment industry on the set design side. As we walked around Paramount Ranch, Zach pointed out some of the buildings that he helped build!! How cool is that?! It was so nice getting to know both of them a bit better throughout their session and I can’t wait for their wedding next year at one of my favorite venues, The Gardens in Thousand Oaks! I think this next one is one of my favorites !